The Toyark has received a press release for a pretty cool product. The product is called DisPLAYability. 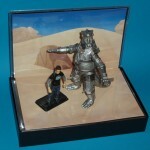 They are custom displays for various toy lines. Displayabilitystands.com is very excited to debut our new product! Our patented (patent pending) BDS (Basic Display System) products are now available for pre-order from various retail partners. 1. There are two different sizes available that are scaled to display items up to 9 Inches in height. 2. Includes 2 different background art inserts. 3. Interchangeable art insert feature allows you to customize the stand whenever you choose. If your collecting habits gravitate from military to sports, no need to change stands, simply change the artwork inside. 4. Art Insert Expansion Packs will be released periodically that you will have the ability to download and print yourself for free, or purchase to have a set printed and mailed to you. 5. There is a storage compartment to store your collection for transport and/or hide items that go with your displayed items that you do not wish to be seen (Extra weapons, Certificates, etc.) Keep all of your items together to protect from loss. 6. Durable and lightweight. Made from a very strong chip board and wrapped in embossed black paper for a quality look and feel. Vinyl sleeves that hold the artwork are scratch resistant. Durable enough to display almost anything, your imagination is the limit! 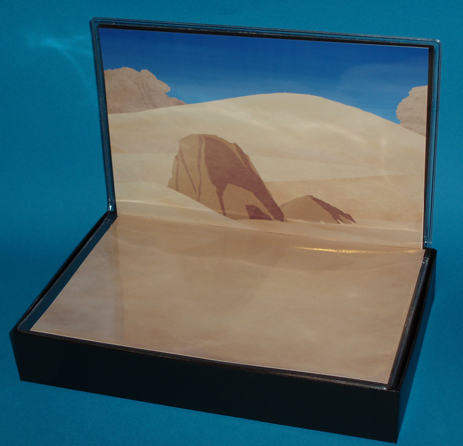 Look for our CDS (Constructible Display System) to debut late 2010! Please drop by our web site and take a look! We’ve mirrored a few of their stand images. Click the headline of the story to check them out. What artwork does the box come with and what ones does the expansion come with? So there are two boxes one for 15 bucks and one for 20 bucks. 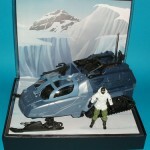 The 15 dollar ons is about 7inches tall I believe and can fit the basic 3 3/4 GI JOE, MU, SW etc. Would it be weird or awkward to get the bigger one for the 3 3/4 so I could have a bigger scene? The backscape might be out of proportion though. What do you guys think? I don't think it would look weird at all. If you do end up getting one, post some pics if you can. Do some research though. I cannot personally vouch for the site, it was just sitting in our submitted news box when I moved it here. Sounds pretty cool and I'll be interested to hear reviews on these, but it's not something I can afford to try myself right now. Hey guys! This is Jerry from DisPLAYability. I wanted to answer your questions. 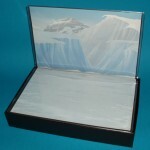 Both sizes come with 2 art inserts, the arctic and the desert scene. The coolest thing about these for me is that the artwork is interchangeable. Also, the scenes included are "generic" enough to fit to any scale. 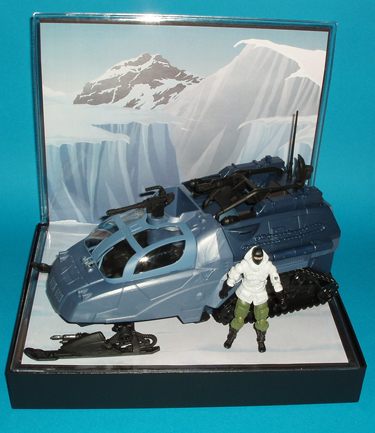 If you notice the GI Joe Vehicle with pilot on the large stand, you can see that the arctic scene compliments the items just fine. Our initial expansion packs will be fairly basic designs, similar to the military themed BDS-071006 EP001 on our site. Up next will be a space set that will also be mostly solid colors. These are for very basic enhancements of your items. We will be offering more detailed city dwellings and things that may not fit all scales, but we will point that out in the descriptions of those packs. Hisstank and ToyArk should be recieving product for review within the next week or so! Go to our site and link up on twitter, facebook, and/or myspace to stay tuned to the latest updates on our products! Thank you! One would look good on the desk at the office. These are basically just soft menu/page holders on their side resting on a box. What the black bottom base part? it's chipboard and paper? These are basically just soft menu/page holders on their side resting on a box.What the black bottom base part? it's chipboard and paper? Heavy Duty Scratch Resistant Vinyl Sleeves....not soft page holders. Reinforced with Heavy Card Stock behind the art. The box is High Quality rigid chipboard with very durable Black embossed paper wrap, not plastic....Price would be much higher if using plastic or acrylic parts. Nice quality with a nice price. If you do not like the idea of Chipboard and vinyl then you should be happier with our acrylic CDS system coming later this year. Acrylic displays are something I cannot wait to see in full use. Did you see the sneak peek on our gallery page? I did. I liked what I saw.